House legislation aimed at reforming the business operations of the U.S. Postal Service would save the agency about $20 billion during the next decade, according to an updated analysis of the bill by the nonpartisan Congressional Budget Office. The bill, approved in 2011 by the House Oversight and Government Reform Committee, would achieve the multibillion-dollar savings largely by eliminating Saturday mail delivery, CBO said. 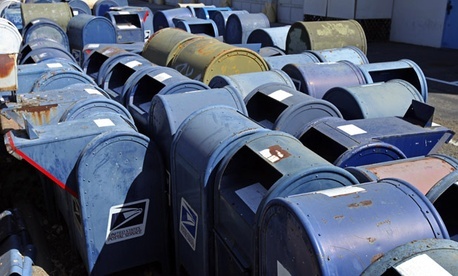 Reducing mail delivery from six to five days a week would save USPS about $2.5 billion annually by fiscal 2015 in personnel and transportation costs; those savings would decrease to about $2 billion per year by 2022. The cost estimate CBO released Thursday is similar to the office’s December 2011 analysis of the bill (H.R. 2309); the latest version estimates the costs and savings through 2022. The legislation, shepherded by Oversight and Government Reform Committee Chairman Darrell Issa, R-Calif., also would transfer about $11 billion in surplus retirement contributions into the Postal Service’s coffers, decrease the agency’s contribution to employees’ health and life insurance premiums, and restructure the payments the Postal Service is required to make annually to prefund retirees’ health benefits. The legislation would revamp the way USPS prefunds retirees’ health benefits -- a mandate of the 2006 postal reform law that comes with an annual price tag of about $5.5 billion. The House bill would increase the cost of that payment by about $2.25 billion in 2015 and 2016, but would slow the payment rate beginning in 2017. The Postal Service wants to opt out of the Federal Employees Health Benefits Program and provide its own employee and retiree health benefit plan, which a Senate bill would allow it to do. In February, CBO estimated the Senate’s postal reform bill, shepherded by Sens. Joe Lieberman, I-Conn., and Susan Collins, R-Maine, would result in a loss of $6.3 billion during the next decade. The Senate legislation also would offer employees additional credit for retirement incentives based on years of service and allow USPS to reduce mail delivery to five days a week. The House is not scheduled to take up postal reform any time soon, while the Senate could consider its bill in April.